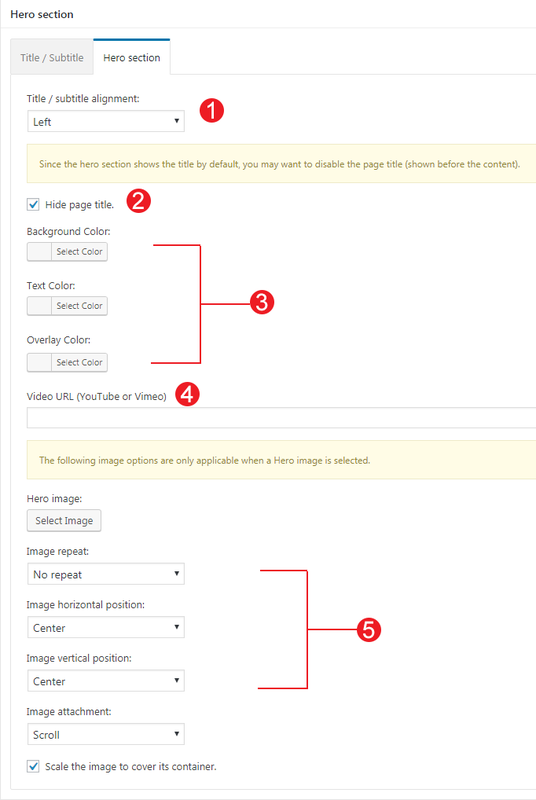 Loge Specific plugin: You will be asked to auto install this plugin when installing the theme. 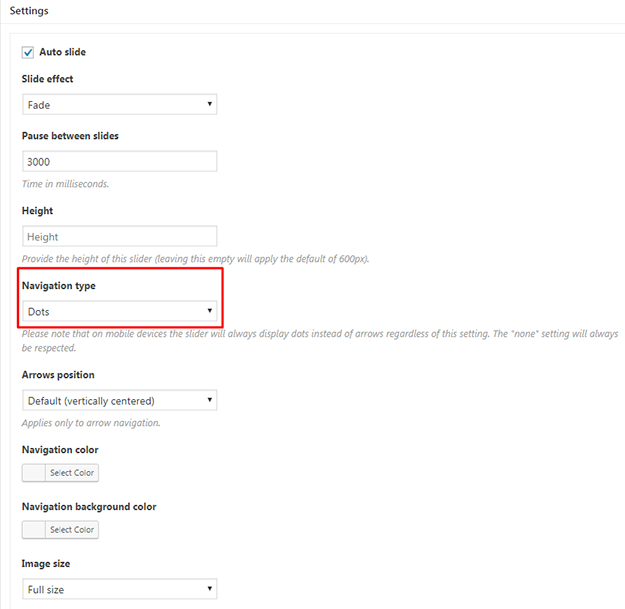 You can find this plugin in your theme /plugins/ folder. 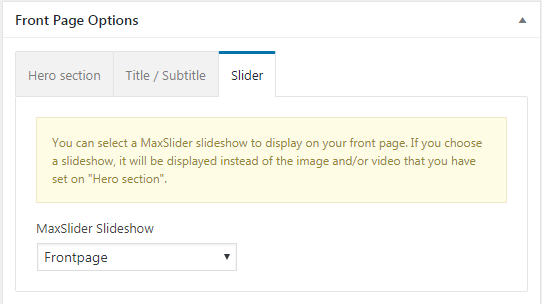 In the Slider Tab you can also select a MaxSlider Slideshow to appear instead of a hero image or choose not to have a slideshow at all. 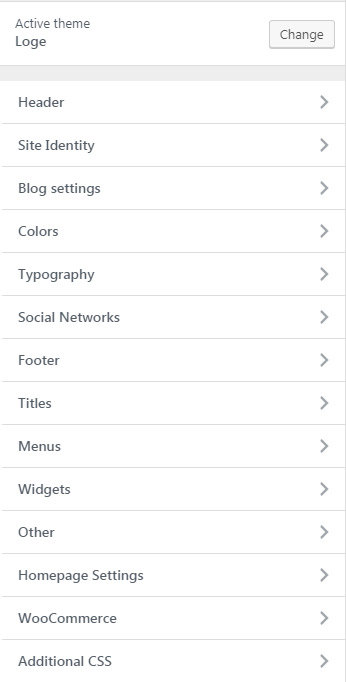 and select the dots navigation under the Settings section. MaxSlider is a versatile plugin with many options for you to explore. Have a look at the plugins documentation here first. 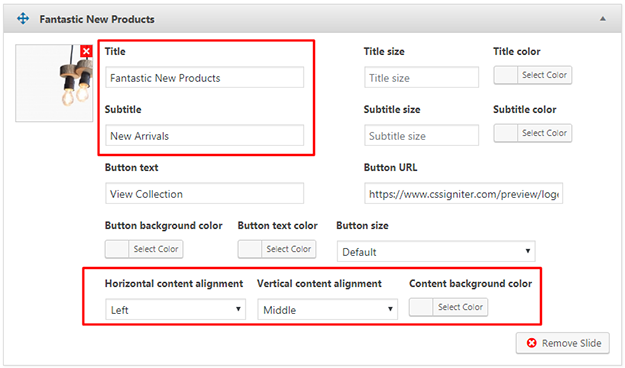 Don’t forget to actually select your slider in your Frontpage (Pages > All Pages) from the drop down menu under the Frontpage Options Slider tab as mentioned above. 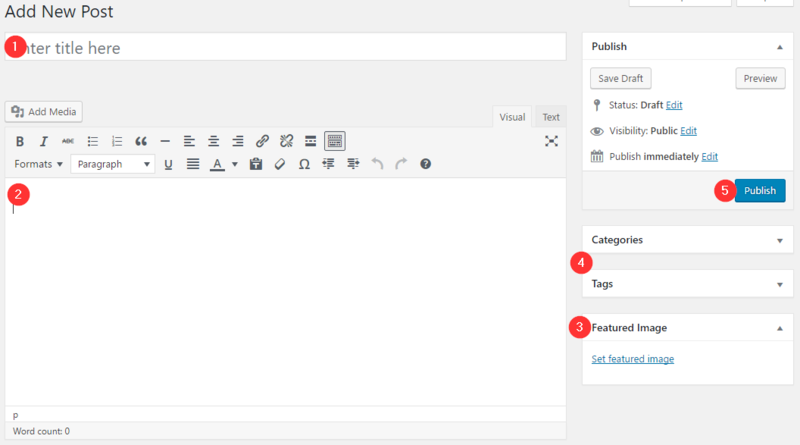 Post Types and Latest Post type widgets will automatically get the content and the featured image from Posts / Custom Post Types. 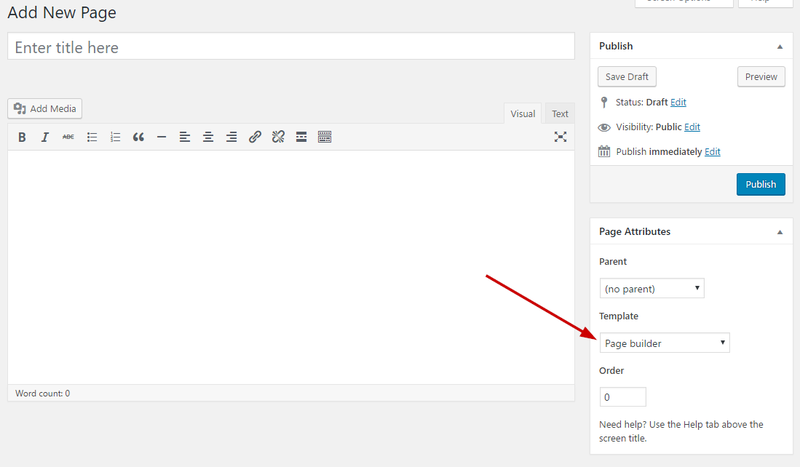 In this page you can add any content you wish without displaying the sidebar but the container size is smaller. 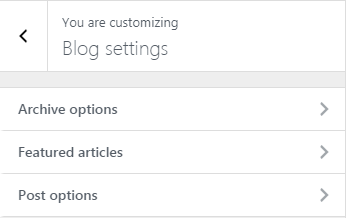 Finally, in the Featured articles section you can add a tag which if your articles have they will appear on top of you blog listing. 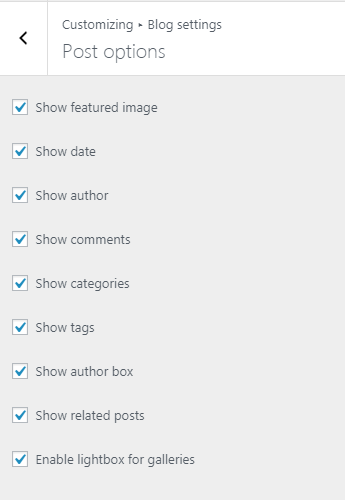 Only one article that includes this tag will be displayed. 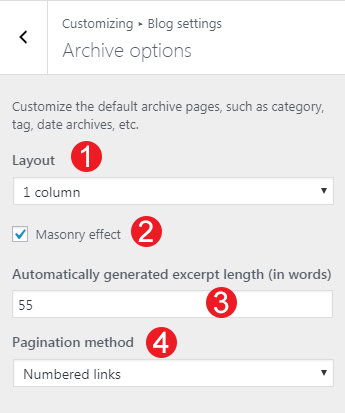 The selected tag will be automatically hidden from tag lists. You can change the Shop layout. 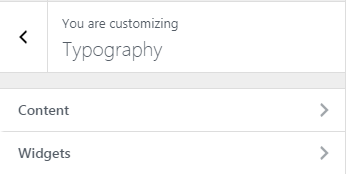 Change the Products per page. 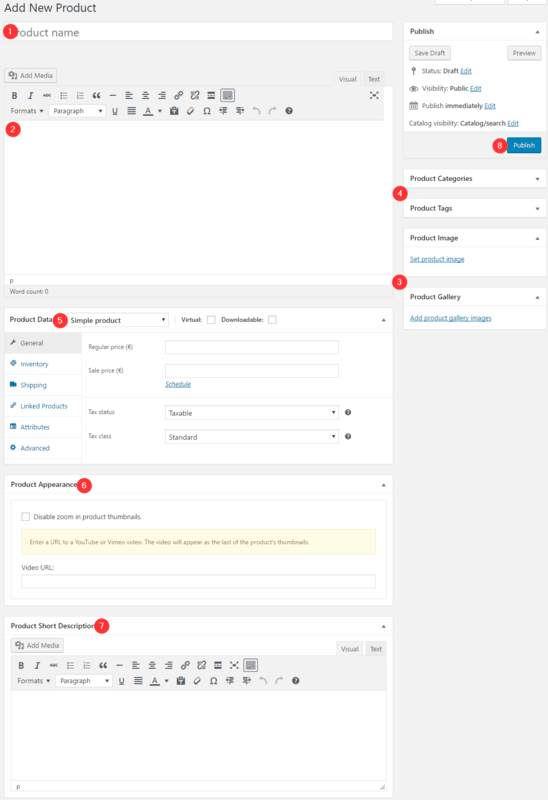 Show by default the product information. 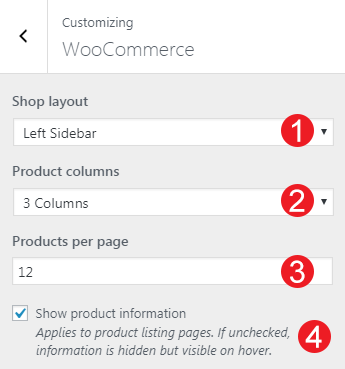 Select a number of products to show. Post type: “post” by default. Can be one of: post, pages.